In 1650 the Civil War was over, Oliver Cromwell was in power and puritans held sway. Births, marriages and deaths still occurred, however, still celebrated in church by the vicar and recorded in the parish register by the clerk - not good enough for the new regime, which wanted to make some changes. The question of how to deal with these basic elements was resolved by the “Barebones” Parliament of 1653, which introduced civil marriage and regularised the registration of births, marriages and deaths. The Sutton Coldfield parish register changed to the new style of recording marriages in 1654, giving names of witnesses and the dates of the three readings of the banns, usually on Sundays in the Parish Church, but sometimes “published at the Market Cross between the hours of 11 and 2”. Fifty marriages were recorded over the next five years, including sixteen farm workers and twenty-one tradesmen. There were some metal trades - blacksmith, stirrup-maker, locksmith and five nailers, timber trades - carpenter, chairmaker, cooper, three tailors, a weaver, a tinker and a chandler. When the bride and groom were from different parishes, the banns were read in both places. Half of the marriages were between Sutton couples, but twenty-four involved outsiders. Most of the other places mentioned are local parishes, with a few more distant ones such as Walton-on-Trent, Stafford, and Northfield. Only 28 of the newly-married couples settled in Sutton. Their names appear in the 1663 Hearth Tax records, where each household is listed and taxed according to the number of chimneys there. Poor householders were exempt from the tax, and sixteen of the twenty-eight did not have to pay any tax for this reason. Eight of them were poor farm-workers, often out of work, but the eight tradesmen were also underemployed - no doubt the poor chairmaker had to scrape a living by other means when chairs were not in demand. Some of the Cromwellian weddings took place in Sutton church, conducted by the Rector, Anthony Burgess, or in the churches of nearby parishes, but most were civil marriages, conducted by local magistrates. 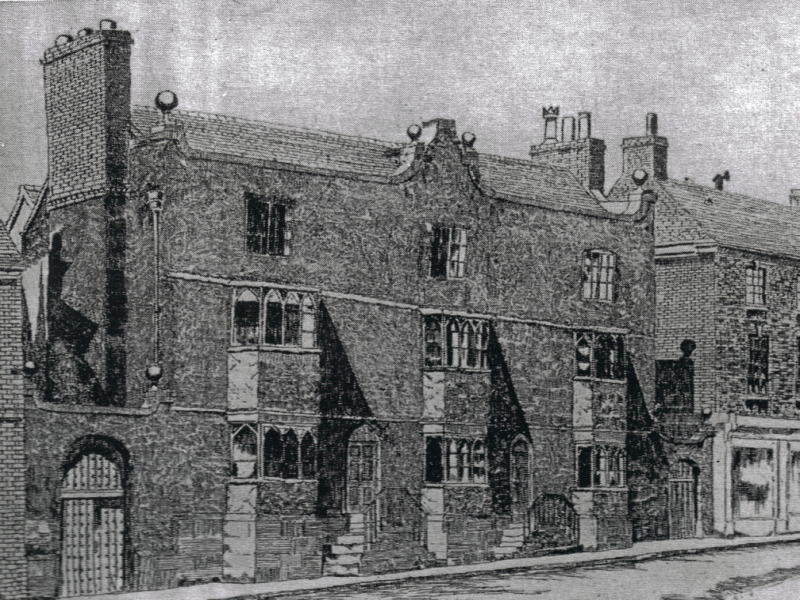 Many weddings took place at Vesey House in High Street, the home of the magistrate Thomas Willoughby, but when Thomas Willoughby was way at Parliament or on county business, other local magistrates were called on, such as Richard Baston, Bailiff of Tamworth or Waldive Willington of Hurley. In 1660 King Charles II was restored to the throne, all the Acts of the Cromwellian parliaments were annulled, the old marriage customs returned, and the Sutton Parish Registers never again give such detailed information about the bride and groom.